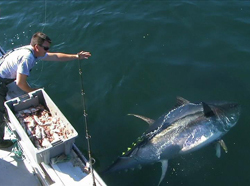 PEI Tuna fishing with Bruce Brothers Charters. 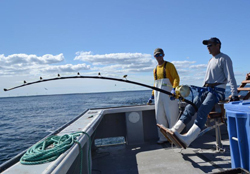 Mass Bay Guides is planning the annual Ultimate Fishing Adventure to Prince Edward Island. We have had The most fantastic time the last ten years fishing with some of the best on the Island. Most of you have seen the videos but just in case you have not check this one out.. (http://vimeo.com/29760807) The entire adventure will be filmed and created into one of our great online videos. We look forward to having you join us. Spots are filling up, this adventure has it all, with All inclusive Fishing, Food, Lodging, Beverages and On Island Transportation, you just got to get to Charlottetown and the rest is taken care of. The details are below. 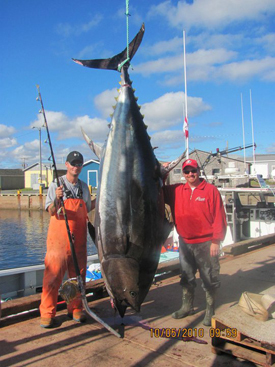 PEI is the best in the world for Giant Bluefin Tuna. Space is limited so contact us soon. A layaway plan is available. You will be charter fishing aboard one of the Bruce Brother's 43 foot charter boats. 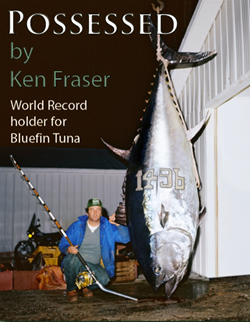 These days will consist of hand feeding Giant Bluefin tuna and catch and release fishing for fish that could reach 1000 pounds or bigger. Get picked up at Charlottetown and arrive for dinner and a good night's sleep. lodging and all the activities; a short walk to boats and restaurant. All Meals "Full Menu" breakfast, lunch, dinner and soft drinks included. Ground transportation from PEI airport to North lake and back. Vehicles available for trips to local stores and attractions. Full Days of charter fishing for the fun and excitement of landing one of these behemoths of the sea. Hand feeding excitement included! 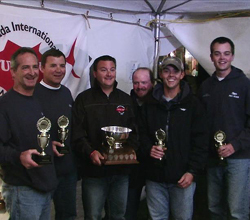 The Canadian International Tuna Cup, a challenge of speed and endurance reeling in some of the strongest fish in the ocean. Team Mass Bay Guides reeled in over a ton of Bluefin Tuna in a total of 50 minutes with the fastest fish touching the leader in 4 minutes. 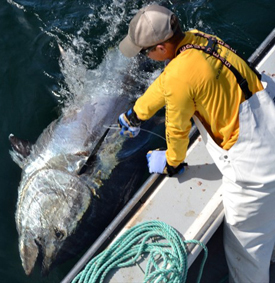 Captain Greg and Captain Bryan Sears participate in the 2010 commercial Season for Bluefin tuna in Canada with Bruce Brothers charters. The season lasted only 36 hours and the boys from Mass Bay Guides landed this 912 pound monster. Mass Bay Guides and Bruce Brothers Charters has teamed up to provide you with the best of the USA and the best of Canada. Read the book writen by the Bruce Brothers friend Ken Fraser's "Possessed"